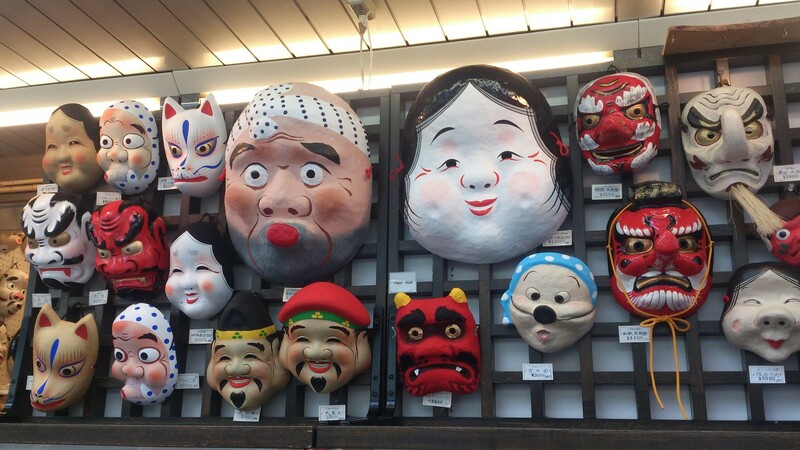 Masks are commonly featured in the many aspects of the Japanese culture. These intricately designed items are not just meant to serve as decorative props but are actually deeply intertwined with the country’s history and religious beliefs. Even during Japan’s feudal era, masks were already being worn by samurais to frighten their enemies and protect their heads from any attacks. Over time, the use of masks to avoid physical threats evolved to include artistic and religious concepts, as a reflection of the local community’s spiritual devotion. Up to this day, many masks continue to exist as part of Japanese pop culture. Among the most popular ones that are still used in many local festivals, anime shows, and theater performances is the kitsune mask. Given the richness of Japan’s culture, masks can be categorized under numerous types such as Kyogen, Noh, Kagura, and Shinto. Kyogen refers to masks used in comic theater performances, which serve as intermission numbers for Noh acts, musical dramas that tell classic Japanese tales from the 14th century. Kagura and Shinto masks, on the other hand, focus more on Japan’s ethnic religion and are used to pay tribute to the gods or for ritual practices. A kitsune mask refers to any mask that features the physical characteristics of a fox. In the Japanese culture, foxes play an important role in religion and folklore. As such, the answer to the question of where kitsune masks lie in the different categories of Japanese traditional masks is debatable. Some even say that kitsune masks make up an entirely separate faction. Regardless of how one classifies the kitsune mask, it has undoubtedly become an iconic object associated with Japan by many foreign travelers. During the ancient times, the Japanese community closely lived with foxes. Over time, several legends and beliefs arose from this companionship which depicted the animals to either have malevolent or benevolent characteristics, depending on the situation they are in. Shinto, the native religion of the country, regards foxes as messengers of Inari, the god of agriculture and fertility that some believe to also appear in the shape of a fox. 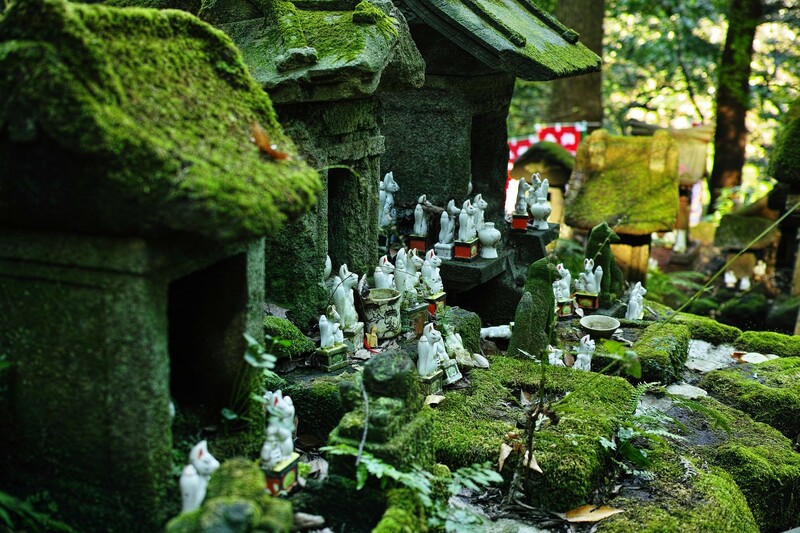 As such, shrines that primarily pay tribute to Inari feature several fox statues where visitors may leave appropriate offerings to please both the messenger and the god. In contrast, Japanese folklore often depicts foxes to be troublesome, shapeshifting characters that find joy in tricking innocent humans, every chance they get. A lot of these tales tell of foxes taking the form of beautiful women to seduce unwitting men, while other stories narrate how foxes swindle unsuspecting villagers by transforming into seemingly kind monks. Given the ambiguous nature of foxes as depicted by Japan’s religion and urban myths, their importance to the Japanese people varies. Back then, some members of the community believed that continuously giving an offering to Inari’s messenger would eventually lead to a shift in the fox’s loyalty from the god to a human being, which would supposedly bring wealth and protection to the new master. Consequently, other people regarded the acquired success of a man with a fox servant to be a clear example of the creature’s malevolent nature, believing that the creature stole another person’s wealth to give to his new master. Whether families merely worshiped fox spirits or actually owned a fox, they were considered to be practitioners of witchcraft. 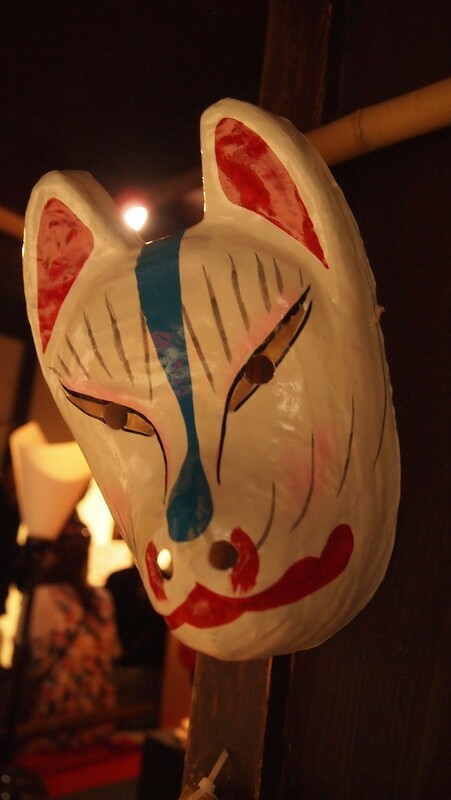 Kitsune masks, like other traditional masks of Japan, first made their appearance in theater performances as Noh masks but eventually found their way into the country’s religion as Kagura masks, as well. At present, the role of foxes in Japan remains open to countless interpretations. This ambiguity is one of the reasons why the creature continues to be respected by the Japanese community through festivals and artistic forms. Since foxes are believed to be messengers of Inari, several shrines in Japan annually hold festivals during the rice harvest season, which occurs from August to November. At these events, one can easily purchase various kinds of kitsune masks as a way of participating in the celebration. Locals often wear these masks on the back of their heads, especially if they are hard to see through and quite uncomfortable. Kagura performances are also done at these festivals to honor the deities and pray for more wealth and success in terms of crops. The act consists of a ceremonial dance gracefully performed by a priestess. Other shrines hold more dramatic versions of the dance wherein the priestess wears a kitsune mask and costume. Kitsune masks can also be seen in other festivals, even those that are not associated with Inari. They are particularly popular with children, which many think is because of the fox’s often depicted role as a trickster. The mask is also widely popular on New Year’s Eve. This is due to an old legend that talks about how all of the foxes near Oji shrine would visit it every last day of the year in the form of humans. To honor the story, a celebration known as Oji Kitsune-no-gyorestu Fox Parade is annually held between the vicinities of Shozoku Inari Shrine and Oji Inari Shrine in Tokyo. Locals participating in the occasion either have kitsune masks on or have their faces painted to look like foxes. Tourists are more than welcome to join in the festivities, which are done for the purpose of being granted health and happiness in the coming year. 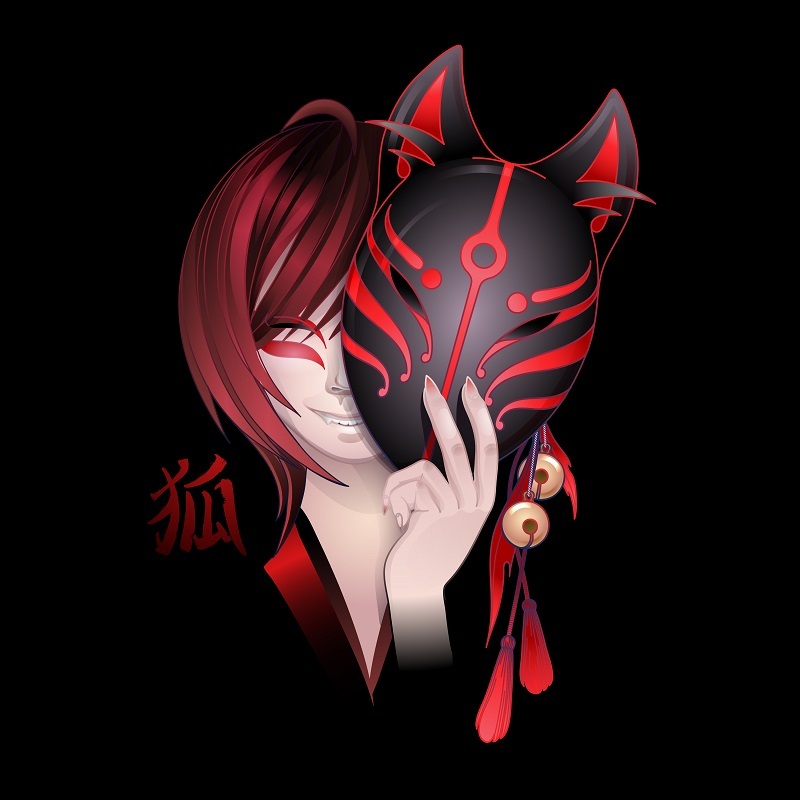 The Different Types of Kitsune and Kitsune Masks – Good, Bad, Black, White, Gold, Etc. Although the term kitsune is used to refer to actual foxes, kitsune masks are more often associated with the spirits. According to Japanese mythology, kitsune can be classified into two categories known as Zenko, which refers to good foxes, and Yako, which refers to mischievous foxes. Kitsunes are believed to feature one to nine tails. The number of tails a kitsune has indicates its age and strength. Kitsunes can come in different colors but turn white or gold upon gaining their 9th tail. Nine-tailed foxes, or kyubi no kitsune, are able to hear and see everything that is happening around the globe. Similar to the many types of kitsunes known by Japan, there are also a lot of kitsune masks available for one to choose from. The most common colors that these masks come in include white, gold, and black. Kitsune masks differ in design, particularly in the details, shape, and expression of the fox’s face. Some artisans also make use of patterns or colors to imply the fox’s elemental affinity. A part of Dragon Ball’s story shows how Grandpa Gohan taught Goku to be aware of his weaknesses by engaging in combat with him while wearing a kitsune mask. Grandpa Gohan is known to be the one who trained Goku and thus, knows all the areas where he comes short. Instead of teaching him as his master, he chooses to let Goku understand his own flaws by taking the role of an unknown opponent. The anime Naruto has teams known as Anbu which are responsible for protecting their respective villages from incredibly dangerous threats. The members of these groups wear animal masks such as the kitsune mask to hide their true identities. The Anbu teams of each village make use of seemingly similar masks but actually differ in their use of markings and patterns. Kakurenbo is a short anime film that revolves around eight children playing a sinister game of hide and seek that involves demons. Each of the children wears a kitsune mask, which allows the fox demon to possess one of them without the others knowing. This possessed child serves as the “it” for the game. Gin, one of Hotarubi no Mori e’s main characters, makes use of a kitsune mask to make himself feel less human. Throughout the animated movie, Gin uses this mask as some sort of defense mechanism, which is clearly depicted in his interactions with Hotaru. Initially, Gin keeps his guard up around Hotaru and wears the mask most of the time. As they get closer, he takes the mask off more and more. Gin eventually gives Hotaru the kitsune mask as a symbol of his feelings for her. Texhnolyze’s character Ran plays the role of a seer, a person that can see the future, and wears a white kitsune mask to represent her prophetic side. She comes from an agrarian community known as Gabe, which makes her mask a nod to Inari, the Shinto deity of agriculture. 1. To make the base of the kitsune mask, cut out 1.5-cm thick strips from a cereal box. 2. Create a face frame using the strips, starting with the diameter of the face. After securing the diameter with sticky tape, attach a strip along the vertical, making sure to leave enough space for the nose. Then, attach a strip along the horizontal, just over the tip of the nose. 3. Add strips to the face frame in a horizontal manner, starting from the top to the nose line created in step 2. 4. Add strips to the lower half of the face frame in a vertical manner. 5. Attach the yogurt cup at the center of the face frame’s lower half. Use scrunched up newspaper to create the desired nose shape. 6. To make the ears of the kitsune mask, cut out two triangles from a cereal box. 7. To give the ears a curved shape, cut a slit going halfway up the triangle from the middle of the side that will be attached to the mask. Fold the piece over itself to create depth. 8. Attach the ears on top of the mask. 9. Cover the whole kitsune mask with masking tape. 10. Create a paper mache mixture using 1 part water and 2 parts white glue. 11. Tear the newspaper into strips and use it to paper mache the entire mask. 12. Once the paper mache is dry, cut out holes for the eyes and for attaching some string. 13. Paper mache the mask again using strips of tissue paper. 14. Once the paper mache is dry, paint the desired kitsune design on the mask. For those who will be going to Japan, many local novelty shops carry a wide array of kitsune masks that are sturdy enough to survive the trip back home. If there is a festival nearby, there is a high chance for tourists to purchase different masks from street vendors, as well. Kitsune masks that are meant to be worn are commonly made using plastic, leather, or other lightweight material. Those that serve decorative purposes can often be purchased in ceramic form. Massed produced masks are usually cheaper than hand-painted ones.